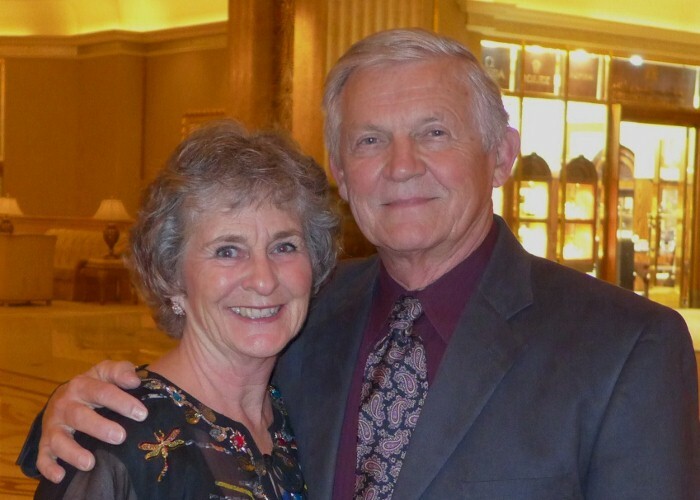 Ed and Patty Soltes lived in College Station, Texas for some 20 years until 1996 when Ed took early retirement from Texas A&M. In July of that year, they went to Lausanne, Switzerland for a Discipleship Training School (DTS) at the Youth With A Mission (YWAM) base. This DTS, offered by YWAM in over 100 countries, is an intense 5-month study of the nature of God, and our relationship with Him. The purpose of the school is, as the YWAM motto says, “to know God, and to make Him known”. The 5-month school is divided into 3 months of class study, and near 2 months of an outreach, in which students have an opportunity to put into practice what they have learned. (For more information about YWAM, its courses of study, and how it is impacting the Kingdom around the world, see ywam.org.) We especially encourage high school students to consider taking a DTS after graduation, and before college, to provide a life-long focus. The normal DTS given at the various YWAM bases is composed of young people, aged about 18-25. We took a variant of the DTS, called a Crossroads, which is usually for people over 35 or those with families. Yes, even families can do it! We actually followed our son into missions. Brady had joined YWAM in 1992 after learning about the ministry from a mobile outreach group that visited Aldersgate the previous year. After we visited with him several times at the YWAM Tyler base, we felt called to early retirement (Ed 55; Patty 49) and Christian service. Before we left, we made plans to sell our house and dispose of the contents (some given to our children and friends, some sold, some sent to the dump, and the rest, about ½ a pickup full, put into storage). What kind of service was He calling us into? Well, it seems that part of the picture was travel, and that was one reason we chose Switzerland for our school location. Little did we know that our outreach was to be a 1000-mile prayer walk with 14 others through a part of France, Switzerland, over the Alps, down the western side of Italy past Rome, then east over the mountains into Bari (phew!). The walk was part of the Reconciliation Walk which saw scores of groups of Christians traversing by foot the various routes taken by the crusaders in 1095-1099. During our prayer walk, we became very aware of the dark spiritual forces that still preyed on the routes that the crusaders took through the towns and countryside. We distributed some 4000 leaflets in French and Italian asking for forgiveness for the terrible things that the crusaders did 900 years earlier (raped, plundered, and killed all those that the crusaders thought were “infidels”, all while wearing a cross on their chests). We extended love, hope and even friendship to all we met on the road. Some of us had audiences with imams (Muslim clerics with overall responsibility for a mosque or a group of mosques) in which we personally asked for forgiveness. We have to say that some of them were touched, and as least one of them, the imam of Rome, said he would share the contents of the leaflet with his congregation. When we came back to the United States, we were called to continue with YWAM, and visited with the base director in Richmond Virginia. Patty and I were soon volunteering to manage a retreat center, RoseRiver, a beautiful place in the Shenandoah mountains. We started alone but soon were helped by a number of volunteers. We had plenty to do: market the business, prepare and repair the facility, cook, feed and clean for weekly guests, as well as mowing the big lawn about 10-20 hours per week. Water lines were old, and kept on breaking, keeping Ed busy repairing them. One of the buildings on the property, an old mill, was inundated with water which overflowed from Rose River during a recent storm...Ed dug it out. The river often ran its banks and it was necessary to ford the river to get to the facility because the bridge had been washed out. We spent many hours in the river moving stones so that vehicles could traverse it. The main lodge, a three-story log structure leaked terribly, and Patty used 3000 ft of chink material to seal the holes. If that wasn't all, the main building, an old farm house that contained the kitchen facilities had nearly burned down two months before we had arrived. We had to develop a substitute kitchen, and menus for that kitchen. With some help, we were able to clear the burnt structure for reconstruction, and another individual was then charged with rebuilding the farmhouse. Over the next few months, we had succeeded in getting the facility operational, but it was barely running in the black. We left in the fall of 1997 with a crew in place and a plan that would carry the retreat center the following year. We were physically and emotionally exhausted. That summer had “ate our lunch” and we were not expecting to return. However, in December, we were visiting with our other son, Derek, and family in California when we were called to participate in a project development seminar at the YWAM base in Kona, Hawaii. RoseRiver was already having problems. YWAM put us up for 6 weeks in a motel efficiency on the beach (suffering for Jesus). We developed a business plan for the retreat center and were back on the job in March until June when a couple was found to replace us. Sad to say, RoseRiver continued to be plagued with problems, and it had to be sold about 3 years later. We took a few months off that summer to pray and evaluate our next steps. We felt we could not again be in a position where we had so much responsibility. We were called to be servants, not managers. 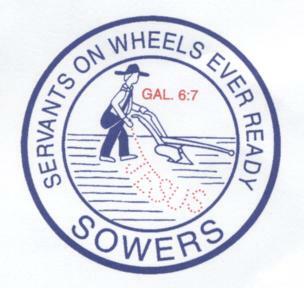 We decided to buy a fifth-wheel trailer as our home, and the Lord led us to the SOWER ministry (Servants on Wheels Ever Ready, http://www.sowerministry.org). 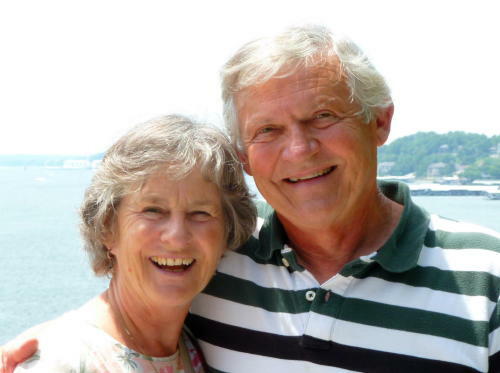 This is a group of retired and semi-retired born-again Christians who travel to offer construction, repair and maintenance work for churches, bible camps, Indian reservations, children’s homes, and other Christian schools and ministries of various sorts. The men (6-hr day, 4-day week, 3-week month) generally do the construction, while the women (3-hr days) help in painting, cleaning, cooking, sewing, office work, and some do construction along with the men. It is an interdenominational ministry, like YWAM, and has had over 3100 couples join since it started. About 750 are still active. Some have homes, some are full-timers like us, some still work up north and spend a few winter months traveling south to work sites - but the SOWER ministry is a remarkably homogeneous group of Christian servants, ages about 55-85, who love to travel. They pray hard, work hard, play hard, and of course travel hard. We have worked 4about 60 months with Sowers since November 1998, mainly as "reverse" snowbirds. We spend the winter months in Texas, then go north in the summer. …helped build the Wycliffe Associates (Bible Translators) RV Park in Orlando, Florida for 6 weeks. In 2004, we stayed put – Ed worked at YWAM in Lindale, while Patty was keeping our younger daughter, Aimee, company in Killeen, TX (Fort Hood), while her husband Gary was stationed in Baghdad, Iraq. In February, 2005, when Gary returned, we made plans to be on the road again, but in a different way. We bought a truck camper, stored the fifth wheel trailer, and started on an 8+ month road trip that took us through Utah and California, up through Oregon, Washington, British Columbia and the Yukon to Alaska, them return through the Canadian Rockies. During our trip, we had several opportunities (appointments) to minister and encourage people as we were led by the Spirit, and are becoming more aware that our ministry is one of encouragement and discipleship to believers. What can be more encouraging to someone overworked or strapped for time, than validating what they do by volunteering your time, energy and money helping them? We believe that the Lord gives each of us certain passions and talents, and there is a reason that He has done so – to use them for His purposes. Ours are travel, and we like to work. Being “homeless” and traveling on the road in an RV is not for everyone, but we love it. We encourage others to lay hold of their passions and use them for the Lord. What are yours? How can you use them? Never be afraid to follow your passions. Embrace them and act as yourself. Secondly, most of what we have heard has told us that “retirement” starts at 65. We encourage people to start thinking about an earlier retirement (Ed did it at 55). We like to think of this as “titheing” your life. If you had to give 10% of your life to Him, how would you do it? When, at what age? As we talk to others about this, we sense that the opportunity for many to do this comes when you are willing to downsize – get rid of “stuff”. After all, isn’t that what Jesus asked His disciples to do in following Him? May the Lord bless you in your life “travels”, encourage you daily in manifestations of His presence, and call you to share the passions and talents that He blessed you with.